We are a company specialized in Solutions Development, Digital Marketing and IT Services. I have an idea, but you don’t know how to implement it? Are you looking to increase your sales and get more customers? Would you like to get better results with your website? Do you need quality computer services? Get in touch with the Instituto Ágil and we can guide the best solution for your business. In our Virtual Store you can purchase equipment for you or your company. We are specialized in high performance equipment, quality and commercial automation. Access it now! 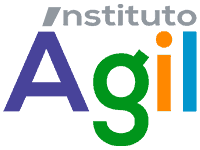 The Instituto Ágil is a reference in Development of Systems and Applications. Always thinking about implementing the needs of our customers, we use state-of-the-art and updated technology, agile process, UX Design and Project Standards. The Instituto Ágil is a digital marketing agency expert in SEO (Search Engine Optimization). We carry out the creation and optimization of Sites, Virtual Stores, Blogs, Social Networks, Info-Products, Landing Pages and Consulting. The Instituto Ágil has extensive experience in maintenance of Computers, Laptops, Linux/Windows Server Configuration and Technology Consulting. Contact us to help you with the best option of technological infrastructure for your company. The Instituto Ágil is located in the city of Sumaré serving companies and people throughout the Metropolitan Region of Campinas and the state of São Paulo, welcoming projects from all over Brazil and also in other countries. Creation of Systems, Applications and Web. Digital Marketing Agency and SEO. You can make the payment through Pagseguro and Paypal in our Virtual Store. Parcelate products and services in up to 12x. For services we make installments in the direct ticket. Please contact us to check availability. Development Services, Programming, Website Creation, SEO, Digital Marketing we serve any region in Brazil or abroad. Infrastructure, hardware and maintenance services we serve throughout the Metropolitan Region of Campinas. The products of our store can be shipped to anywhere in Brazil that the Correios arrives. Some of our services are delivered as a download through the Virtual Store. The delivery of products from the store is done through the Correios (PAC or Sedex) or carrier, depending on the product. We use SSL Certificate for encrypted communication between you and the site. We are certified by McAfee SECURE, assuring you that this site is safe. If you want to know more information, or check the veraricidad of some information, contact our service. This site is protected by the DMCA.